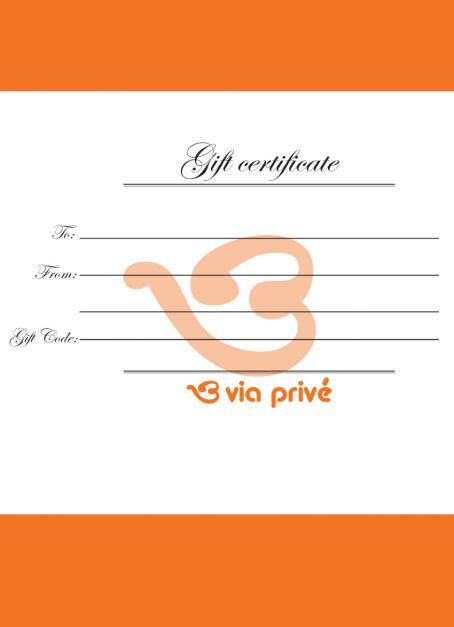 A perfect gift -- a Via Privé eGift Certificate. Our gift certificate comes in a variety of denominations and gets delivered instantly via email. You can personalize the card and send it directly as a gift.